Chinese New Year (Jan. 31, 2014) is just around the corner fellow readers and bloggers. May the Year of the Horse fill you with great wealth, long life, and good luck! 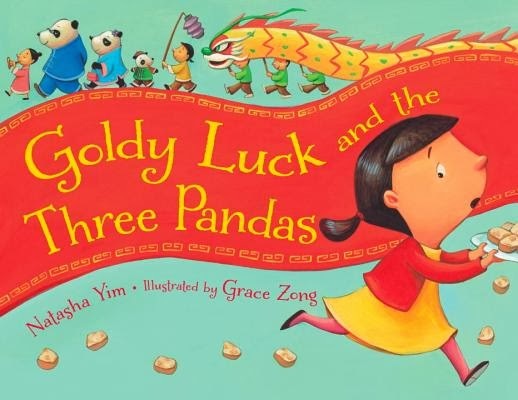 Check out my ReaderKidZ review for Goldy Luck and the Three Pandas by Natasha Yim, Illustrated by Grace Zong (Charlesbridge, 2014). Click HERE. Not only will readers uncover a thing or two about the celebrations of Chinese New Year but they'll laugh along at Goldy's unfortunate luck in this spirited retelling of the classic fairy tale "Goldilocks and the Three Bears."